This recipe is the property of Mr-G and released under the CC Attribution-NoDerivatives 4.0 license. You may not copy, derive or commercialize this recipe without following the terms of this license or the explicit permission of the creator. The ice cream base here really delivers. I love the combo of TPA VBIC and TPA Sweet Cream with CAP Butter Cream. It’s a very dairy forward, firm ice cream. CAP Butter Pecan and INW Biscuit compliment each other well. The biscuit doesn’t really stand out; it just gives some body to the pecan flavor. 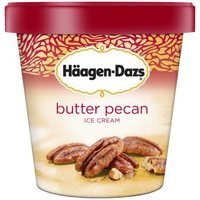 CAP’s Butter Pecan is on the sweet side, and it fits quite well here. FLV Milk & Honey adds a little bit more sweetness to the mix. FLV Sweet Coconut keeps that Biscuit from drying things out too much. Good stuff. I might add a touch of sweetener to what’s left of my bottle, but I put it in everything so don’t put much weight into that. Great mix!